How do start-ups get started? A survey shows that what most start-ups need is an office from which to start work from day one. 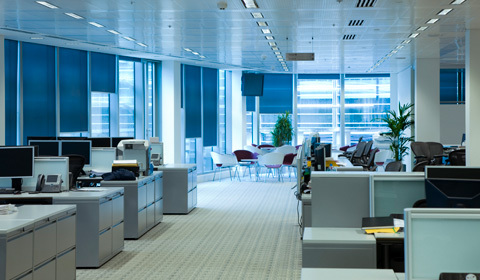 With constraints on capital, they cannot buy or rent office space, specially in a good business location. What many end up doing is working from home or going across to a coffee shop or even taking their laptops to a park bench! All these modes of working are beset with problems. Working from home may be rent-free but you pay heavily in loss of focus as there are too many distractions. Besides, your home address does not always look impressive as a business address. In coffee shops you just don’t have the right ambience for work; you have to hold meetings with continuous conversations in the background and the clatter of coffee cups besides having to pick up the tab which can add up to a significant amount every month. As for the park bench, it’s really not an option, is it? What start-ups need may sound impossible: an office without actually having one. But that’s just the solution the DBS virtual office plan offers. It is a solution made for start-ups. All you have to do is become a member at a very reasonable cost. That membership entitles you to put the address of your DBS business center on your stationery and calling cards. DBS business centers are located in prime business locations so that in itself makes for an enviable business address. As a member of the DBS virtual office plan, you get a host of other benefits. Calls can be made and received on your behalf (without your having to hire a receptionist). You can meet clients in the elegant lounge which makes a statement about you and enhances your prestige. If you need administrative and other services, you can avail of them on a pay-by-use basis which becomes very economical when you have your eye on the expense column. Members of the DBS virtual office plan also get discounted rates for conference and meeting rooms, a necessity for start-ups as they try to sign up new business clients. These conference and meeting rooms are well-furnished and equipped and have excellent technical support.Success could well be on the agenda0! Subscribing to the DBS virtual office plan is one of the smartest decisions a start-up can make. Imagine having an office in a worldclass business center (without having to pay rentals you can’t afford). You can sign up for the plan at DBS business centers pan-India. You have the right address, a team of professionals to support you and an ambience conducive to working. And the only capital you really need is your spirit of entrepreneurship. The office may be virtual, but the success you can achieve is real. The DBS virtual office plan is really a win-win situation for start-ups. It’s the start they need to make the most of their talents and ambitions. It enables them to get that all-important competitive edge. The DBS virtual office plan is virtually unbeatable when you consider the benefits it offers.